Last month I attended a wonderfully catered company party with a mix of clients and co-workers. It was probably one of the healthiest and tastiest catered events I have ever attended. There was a full assortment of veggies, nuts, fruits, baked meats and cheeses. If there was ever an opportunity to maintain healthy eating at a social event, it was certainly this one. Anybody who knows me also knows that I have a sweet tooth. Growing up in the Midwest, and having a mother who loved to bake for family and strangers alike, I would routinely smell and eat various pies, cookies and cakes for no reason other than my mother liked to make them (homemade doughnuts beat the crap out of Krispie Kremes any day!). 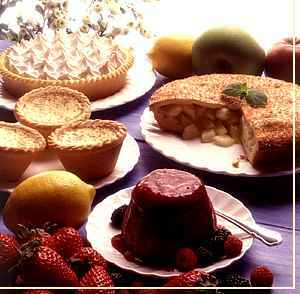 Following the healthy array of food, there was a wonderful assortment of desserts. There was a large plate of small, assorted baked pastry-like cookies, a triple-layered chocolate mousse, a strawberry mousse, and lemon ice. All were so delicately presented and eye-appealing that nobody would dare to be the first to destroy such master pieces…but then there is me – the guy who has more child-like patience toward desserts than a five-year-old. So, I was ready to jump in like Val Kilmer at Hometown Buffet. This brings me to the point of this article (anybody hungry now? ): eating healthy does not imply I do not occasionally splurge. I do not adhere to, nor do I advise, an “all or nothing lifestyle” that restricts food. I do not eat five plates of dessert every night, every weekend, or even every six months. If an individual eats five to six times per day, 35-42 times per week, one meal of indulging will certainly not destroy an individual’s attempt at maintaining a healthy diet. In fact, because of the psychological release of such an indulgence, I encourage my clients to eat whatever they want for one meal a week, not for one entire day. For example, the following morning after the party, I was back to eating my normal breakfast of an apple, a scoop of almond butter and a cup of coffee. It must also be understood that an “indulgence meal” does not have to be a large consumption of calories in one sitting, as my example portrayed. It may also include eating just one piece of dessert, or eating French fries that would normally be a side salad, or having a milk shake. It’s not even necessary to eat the entire portion. It is continuous, daily eating of refined-carbohydrates and processed foods that cause an assortment of diseases. Just how often is “too much” depends on each individual’s current health, fitness level, and wellness goals. For example, if a male’s body fat percentage is greater than 26 percent, this is considered above average, he will need to reduce the amount of processed food and refined-carbohydrates in his diet to reduce body fat percent to healthier levels.